We’ve been super busy this week so I fell behind in my daily blogging. The good news is that we are making a lot of progress in our every day lives! 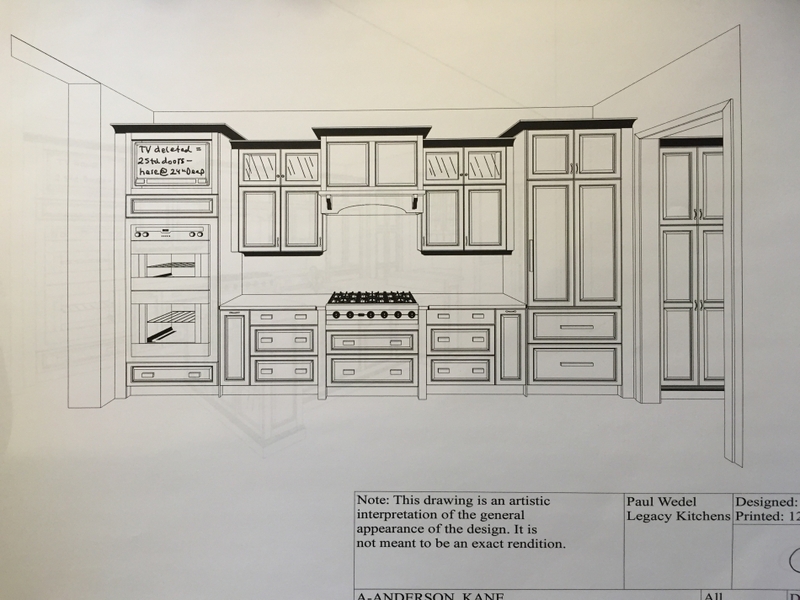 We met with the cabinet maker this week and signed off on the cabinetry designs for the new house. 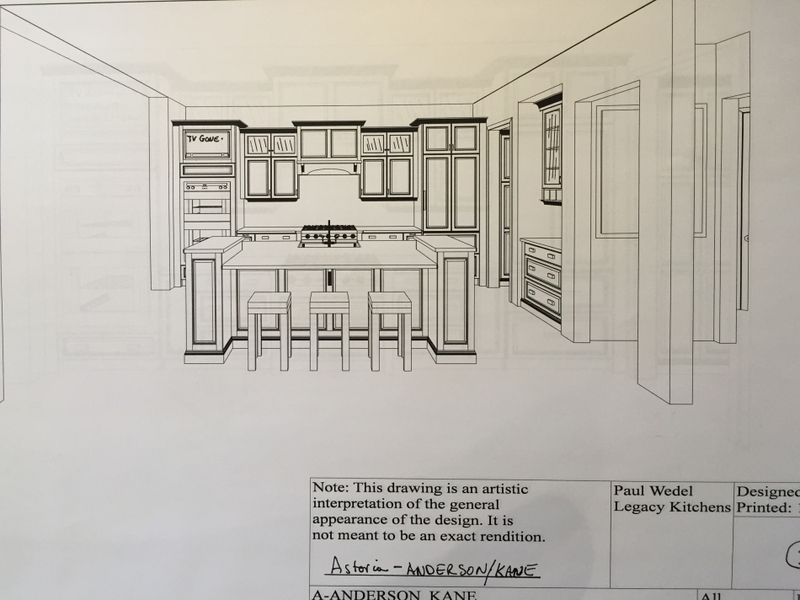 I’m really excited about the look of everything, and there are some hidden nifty ideas incorporated like slide-out trash and recycling bins, cookie sheet racks, and a spice drawer next to the stove. 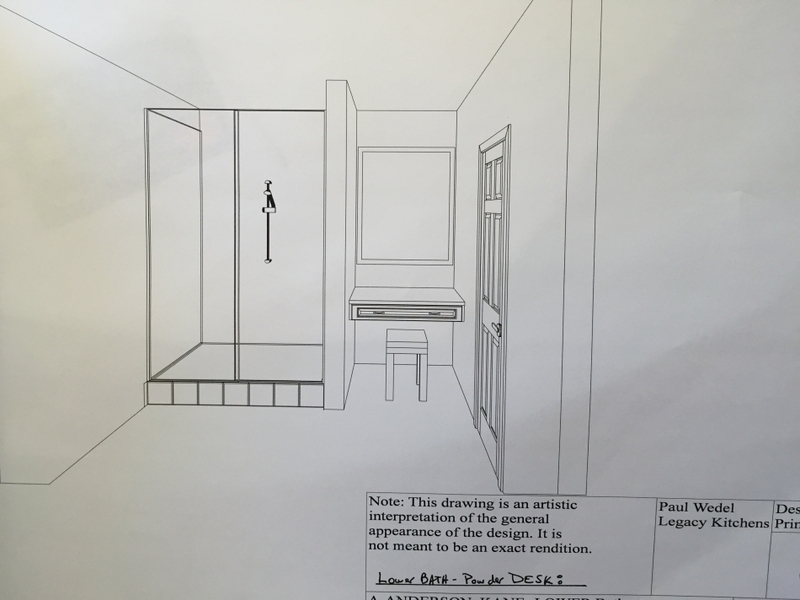 We also have drawers in our bathroom vanities – such a fantastic idea, and the new studio’s bathroom not only has double sinks but also a great vanity with make-up mirror and baby changing area. I’m crazy excited for everything! It was worth the over 7 hours we’ve spent going through the plans for everything cabinet-related.